It is a common practice for everyone of us to save the file created using Office say, excel, word or powerpoint. This is a different case with the new Microsoft Office 16. Whenever you save a file using the Office 16, it saves and generates a copy of it, which it stores in the cache folder prior to uploading to the web server. The cache is anything where frequently and most recently accessed files are kept for ease of access. Why do this cache reset? The problem arises whenever the cache becomes overloaded when it fills up.This will require its resetting after clearing. Also whenever you attempt to upload a file into the web server and an error occurs, the cache needs to be completely cleaned up. Another event when you would find a way to delete it is when you need some privacy notes and want to work directly with the web server. Let us now scroll through the steps of doing it. 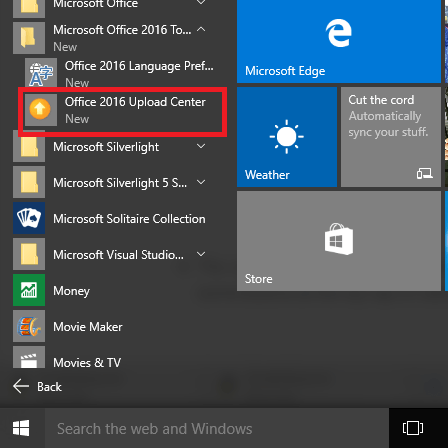 Click on your Start menu and under the App menu, search for Microsoft Office tools.Click on it to open the Office 16 Upload Center out of the two options obtained. Now, you will have to click on the settings option which can be found on the top left. In the next window that pops up, you will find that there are two subtopics: Display options and Cache settings. 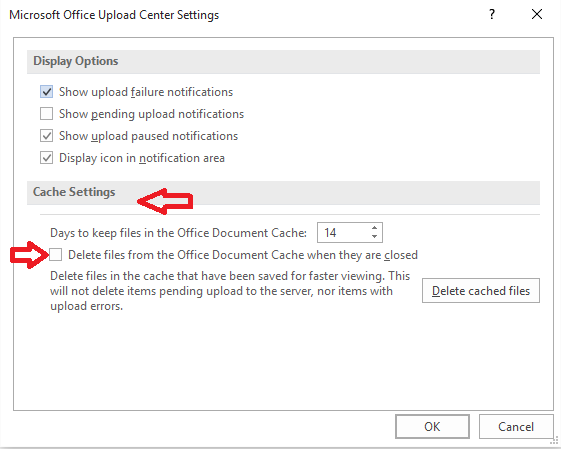 Tap on the small box below the cache settings which will have Delete files from Office document cache when they are closed to its right. 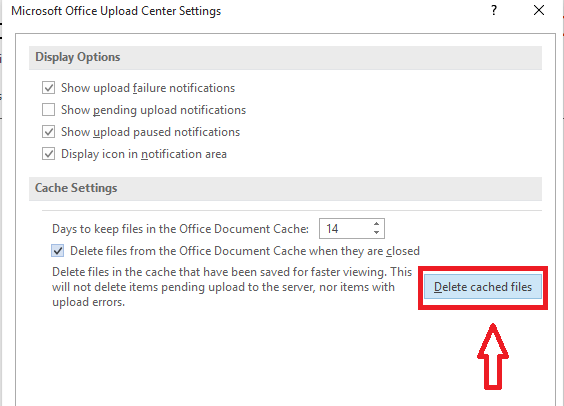 Now select the delete cached files option to delete your files that are cached. Also,there are also options to choose the number of days after which it gets cleared automatically. This article will help you to wipe off your cache anytime you want and thus help you to push off the errors.